At Forward Slash Technology, our wireless networking services include designing, configuring, implementing, securing, and monitoring wireless networks for businesses located throughout the St. Louis area and around the country. As a leading IT company, we are able to not only configure and set up wireless networks on site but can also trouble shoot if you encounter problems with your wireless networking system in the future. 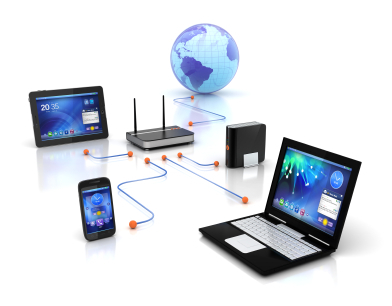 Wireless Networking will help to clean cabling problems in your office and allow the use of mobile devices on your network. Our wireless networking services can help businesses ensure proper network configuration and security in order to allow them to continue with business as usual. To learn more about our wireless networking services and to find out how our wireless networking services can help your company, contact our St. Louis based IT company today. Many business owners feel that wireless networks can be complicated or expensive to set up and manage or difficult to secure. However, because of the recent advances in technology wireless networks can be an affordable and convenient solution for businesses. With the wireless networking services from Forward Slash Technology, any business can benefit from the addition of a wireless network. Our wireless networking services can manage all of the aspect of networking from designing and implementing a network to monitoring, troubleshooting, and securing wireless networking systems for businesses. 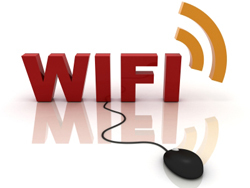 One of our main wireless networking services is wireless network set up. Our experienced IT professionals can design, implement, and configure wireless networks to meet nearly any businesses needs. Whether you need a large wireless network to cover a large office or building and to reach a number of users or you want simple wireless networking capabilities within your office, we can help. When designing and implementing your wireless networking system, we pay special attention to your needs including security concerns and network speed requirements. Typically, one of the most common issues or concerns that businesses have when developing wireless networking systems is a question of security. At Forward Slash Technology, our wireless networking services include a number of security related services in order to ensure that networks are secure and protected. For example, we consider a number of important security measures when developing wireless networking systems for businesses. We also offer wireless network monitoring and auditing services with our network security auditing services and firewall configuration and intrusion detection system services. As with all types of hardware, wireless networking hardware requires regular system maintenance and support in order to ensure that the network remains working properly. At Forward Slash Technology, we can perform wireless networking support services including providing repair or replacement service to routers that fail, addressing issues when wireless connections are disrupted, and solving security issues. We also offer our outsourced help desk support services to help users overcome simple connection issues or other basic problems. With our wireless networking support services, we can help businesses keep their wireless networks working in proper condition and avoid serious problems. If you are interested in setting up a wireless network for you business, you need help trouble shooting an existing wireless network, or would simply like to learn more about how our wireless networking services can meet the needs of your business, contact our IT company.